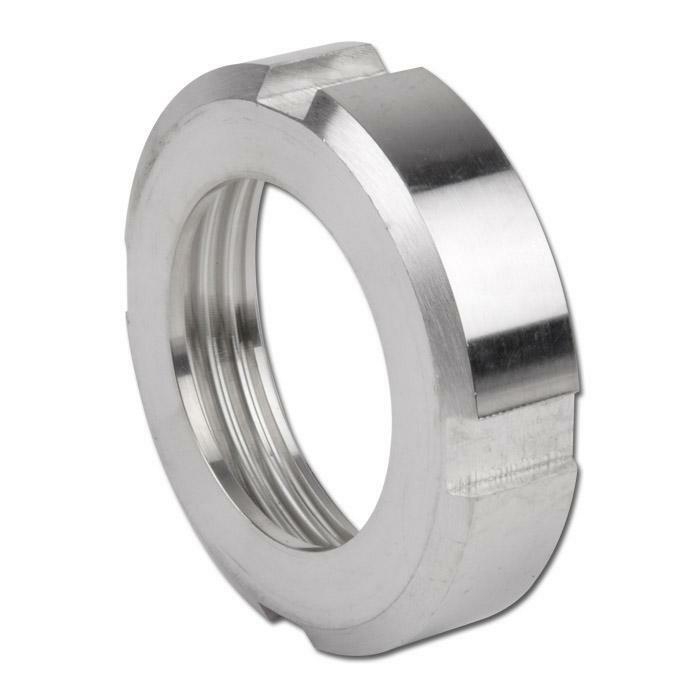 DIN nuts fit over the male thread and secure the connection between to two fittings using a gasket. A DIN wrench is used to tighten the nut by hooking the wrench into the grooves and rotating the nut clockwise. 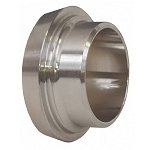 DIN nuts are metric in size, but can be utilized on standard US tube OD sizes.